Scroll down for the "Tour Guide" and "Website Resources"
Clearly, my greatest need was to put together some resources that participants in our workshops can use to streamline and simplify their search for relevant and accurate information. The “overview” documents below are two that I will be using and that we think might be helpful to a wider audience. 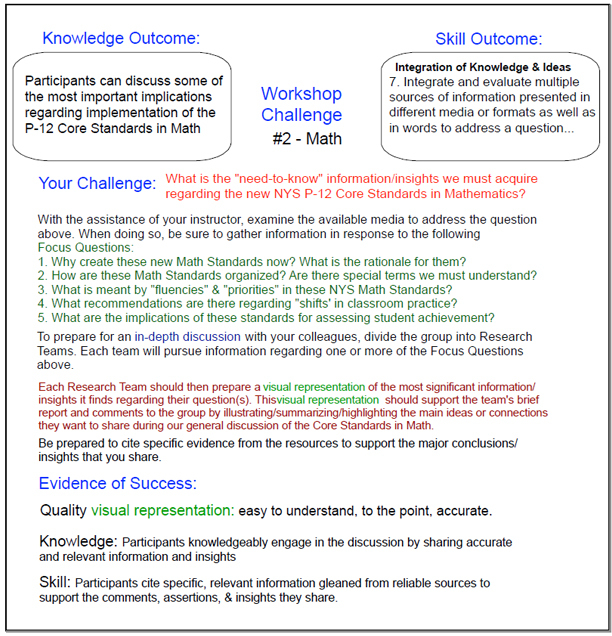 A second document I plan to use in our workshops is the “Tour Guide to New York State’s Common Core Resources”. 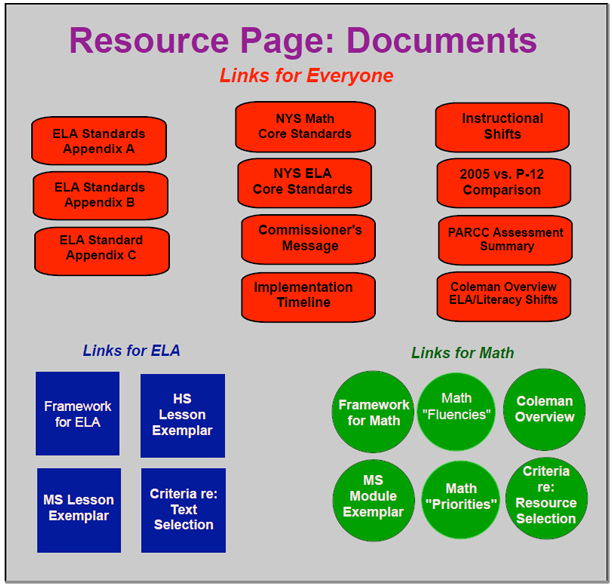 I created this reference to help workshop participants locate specific documents that will help them address direct questions/issues related to the P-12 NYS CCLS. In addition to a brief description about the document, we’ve put in a web hyperlink so that an observer can access and download the document as a personal reference. 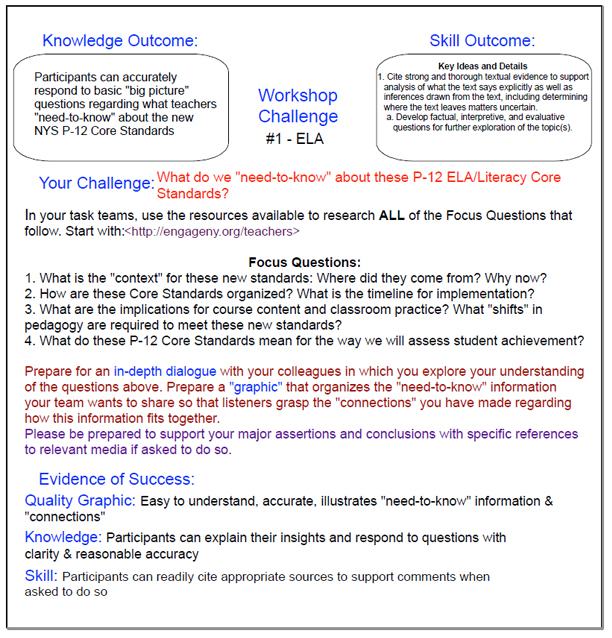 Below are two resource documents with links to valuable resources. They go to the same documents but the first one does so with a graphical interface and the second is through a more traditional text interface. Below those two documents are two "Challenges" we use with teachers regarding the Common Core. Finally, in the last section there are downloadable versions of many useful documents.